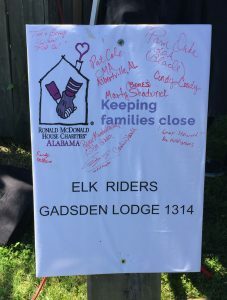 Elks Riders 1314 in Gadsden, Alabama hosted their 14th Annual Ride Across America to support Ronald McDonald House Charities of Alabama on April 9th. 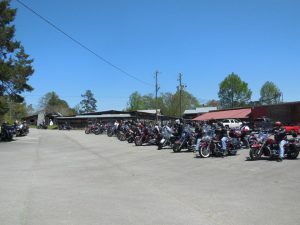 With 14 members, they put a lot of work into these rides and are always an extremely giving group. This year, they raised $3,500 to support our mission and made their trip to the House to celebrate Ride Across America. The families staying at the House always love to see all the motorcycles pull up. The riders love showing the kids around and letting them sit on the bikes. We love each event the Elks include us in and are so thankful for their support year after year.